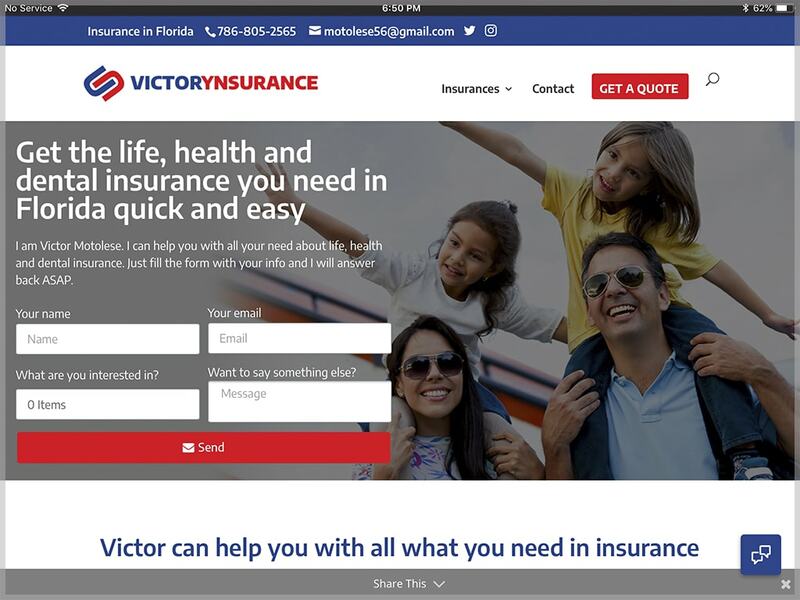 Victor Motolese is an Insurance Agent in Miami, Florida. He needed a website focused in the very areas he works with: Life, Health and Dental Insurance. The website needed to be simple, to be used for seniors and with many call to actions in order to receive leads from potential customers. As well, should be available in both English and Spanish. In the website designed were used the colors from the brands Mr. Motolese is agent.